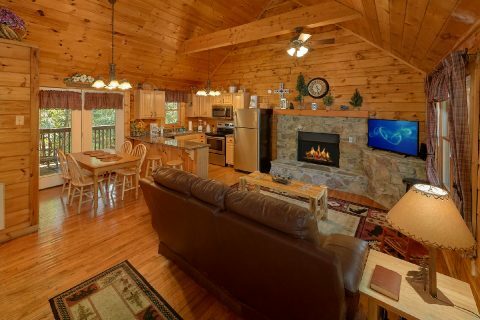 "Lil Country Cabin," a cabin rental located at the Cabins At The Crossing in Sevierville, TN, rests next to Pigeon Forge and all its attractions. 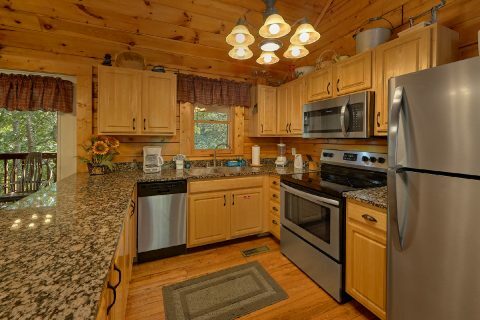 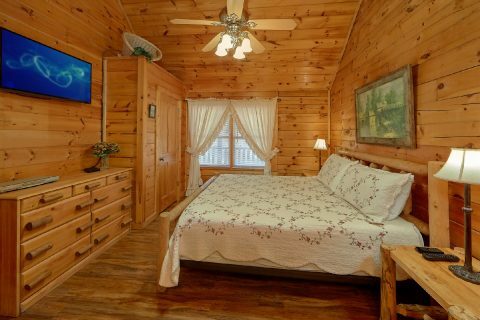 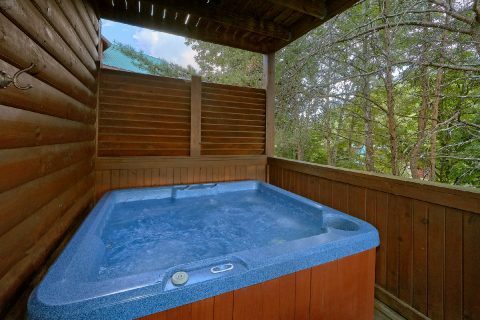 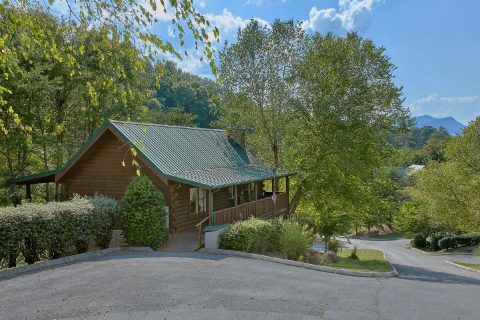 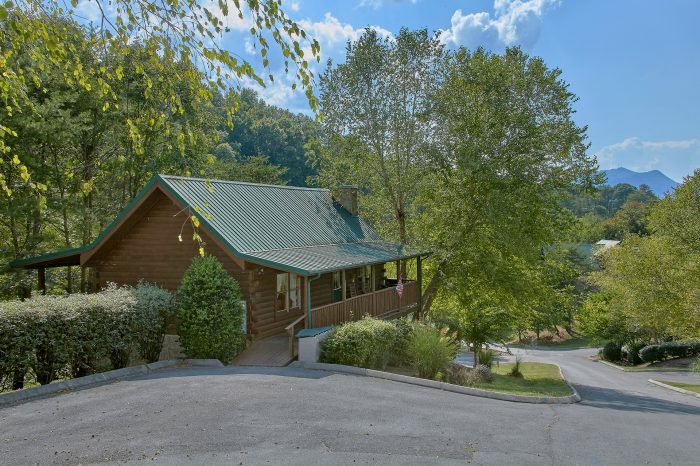 This adorable 2-bedroom cabin sleeps up to 6 guests and provides the family with all the amenities for a pleasant Sevierville cabin rental stay. 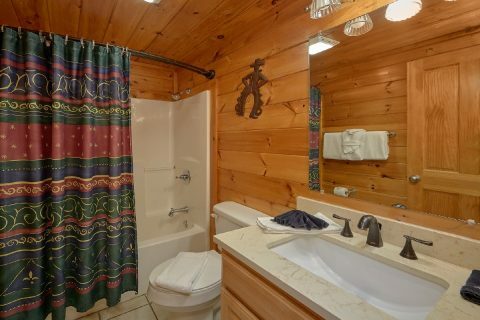 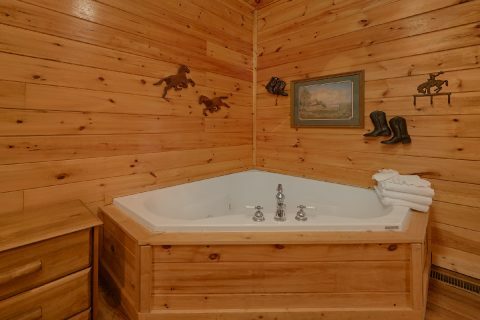 Bring your family to "Lil Country Cabin" for a mountain getaway vacation they'll remember! 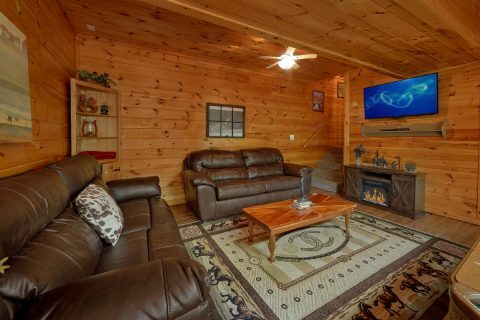 Your Sevierville cabin rental at Cabins at the Crossing greets you with an inviting living room, which features a television and a gas fireplace for those cool winter nights. 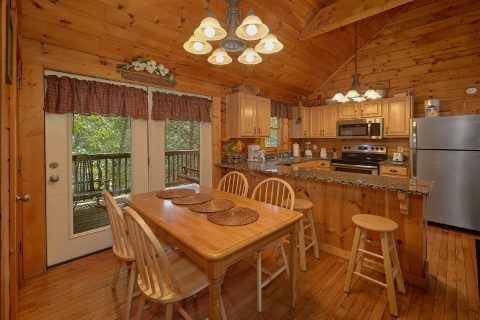 The dining area and corner kitchen with plenty of counter space are nearby and they offer the perfect opportunity to enjoy meals together in your cabin. 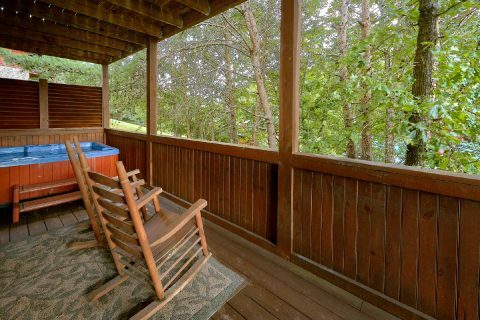 Outside, host a cookout on the grill, take a dip in the hot tub or watch the sunset from your cabin's porch swing. 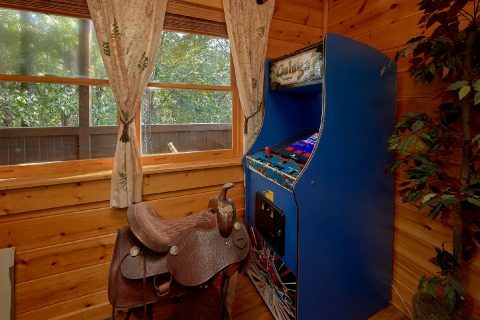 Keep the family fun going in the game room that boasts a pool table, arcade game, and a television. 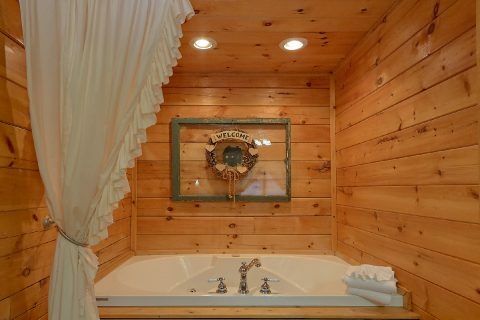 When it's time to turn in for the night, each of the 2 king suites invite guests to take a relaxing bath in the in-room jacuzzi tub or watch a movie in bed before enjoying a good night's sleep. 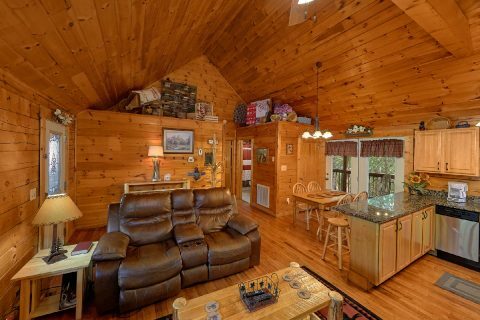 You'll find one king suite on the main level and another on the lower level. 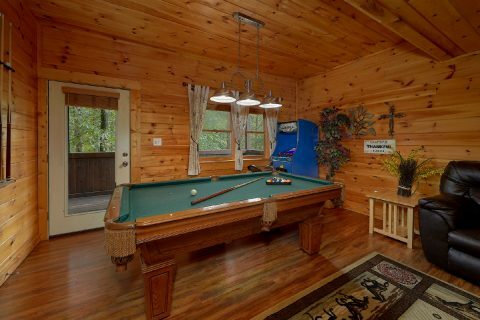 Additionally, there is a sleeper sofa in the game room to accommodate extra guests. 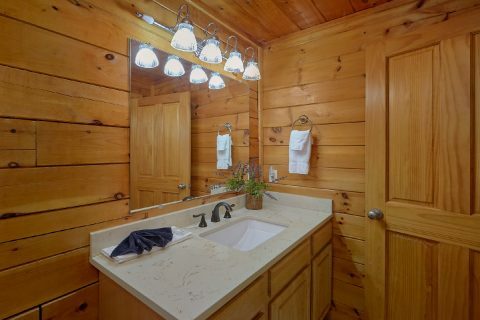 Guest will love Cabins at the Crossing Sevierville, TN's resort amenities, including paved parking, landscaped grounds, a fishing pond, a playground, and more! 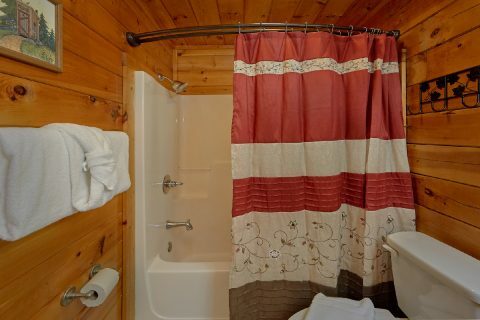 The Cabins at the Crossing resort pool is a favorite in the summer and features changing rooms, seating, tables, and a playground at the pool area. 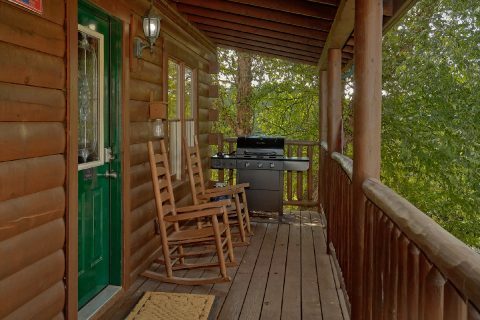 Discover the pleasures of cabin living in the Smoky Mountains today. 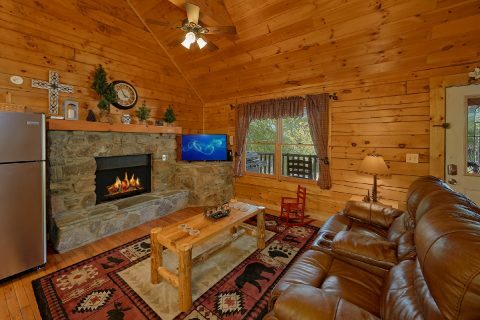 Get an immediate Online Cabin Rental Discount when you book your Cabins At The Crossing vacation rental "Lil Country Cabin" or another Sevierville cabin rental!